This one is a two-fer. I tried several times to write a report for Worlds, but it always came out as just whining, so I gave up. Then Desert Solstice... that didn't go so well either. But I need to say something about both of these races before posting my Snowdrop report. I was going to include this material in that report, but it's already a monster and I think should stand on its own. Worlds was both an incredible experience and a huge disappointment. It was incredible just to be there on the world stage, with the best 24-hour runners on the planet. I was accustomed to being among the favorites in a 24-hour race; the worst I had ever finished was third. Here, if I had a perfect day, I might make the top 20. It was incredible to be a virtual part of the team, in the same hotel, with the same meetings and team staff and in-race support. 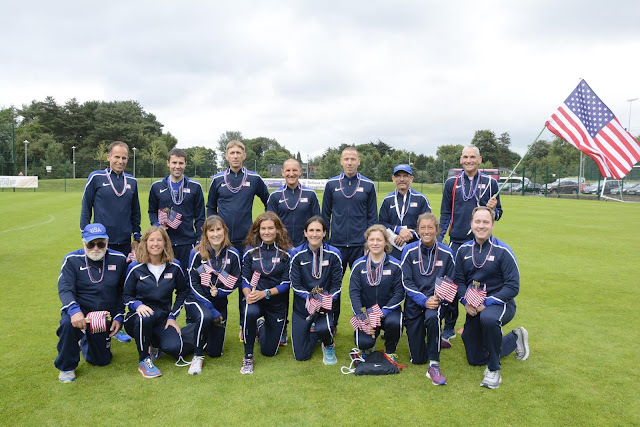 I would get the Worlds experience; I just wouldn't be wearing the official US team jersey, and my distance would not count for the team. Which of course was kind of the whole point. But, it was something. 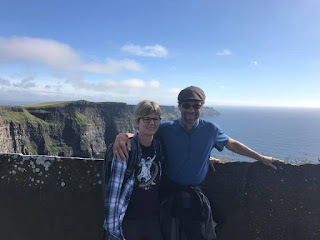 It was incredible to have the crew support of my wife Liz and my friend Scott, who had traveled with me. Thank you! But my performance was a huge disappointment. I still don't know exactly what went wrong. I paced evenly, and was solid through 15 hours. Then it just began to unravel. I deliberately slowed my pace when I realized the effort was too high; that didn't help. I slowed again. And again. Eventually I walked a few laps trying to get a reset. Generally a 24-hour has its ups and downs, but I had always, so far, found a way to recover and finish strong. Not this time. By the end I had a huge sideways lean. And I had no idea how I was doing, because the timing system went out mid-race – inexcusable for a World Championship race! Everybody needs someone to lean on. I ended with 138 miles. I had targeted 158. Probably that was the problem: I had overreached. 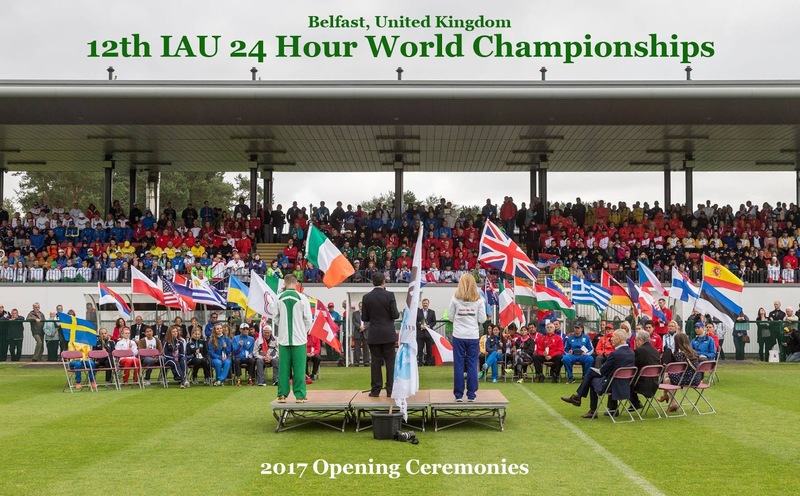 I'd thought I had no choice, for a shot at the age-group world title, because I had studied my competition, and it was formidable. 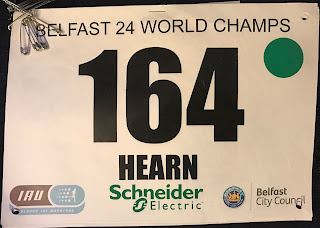 And that was all I really had to run for (or so I thought – later it turned out that Belfast would count for 2019 team qualification purposes, something that would have changed my thinking). So, I can't say I regret anything. I took my shot, and didn't succeed. Stephane Ruel of France, also 51, and my chief competitor, ran an otherwordly 161.6 miles (beating everyone on the US team). I would not have matched that no matter what. But ironically, he'd neglected to register for the age-group competition! (See that green dot on my bib at the top? He didn't have one.) 153 miles would have taken gold (though with a big asterisk), and 145 bronze. Ah well. US women took gold, US men bronze. On the bright side, Liz, Scott, and I had a nice Irish vacation. 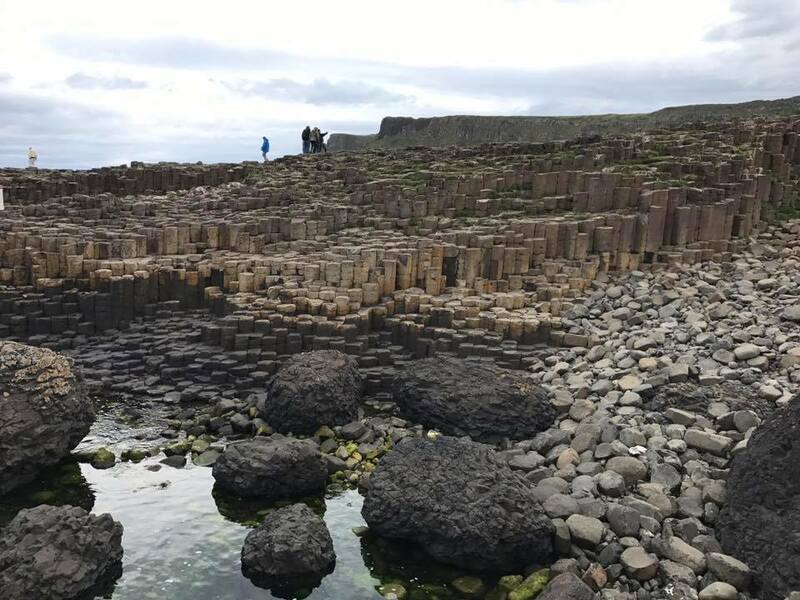 I'd always wanted to see Ireland. And the US women took gold – by 600 meters! – and the men bronze. 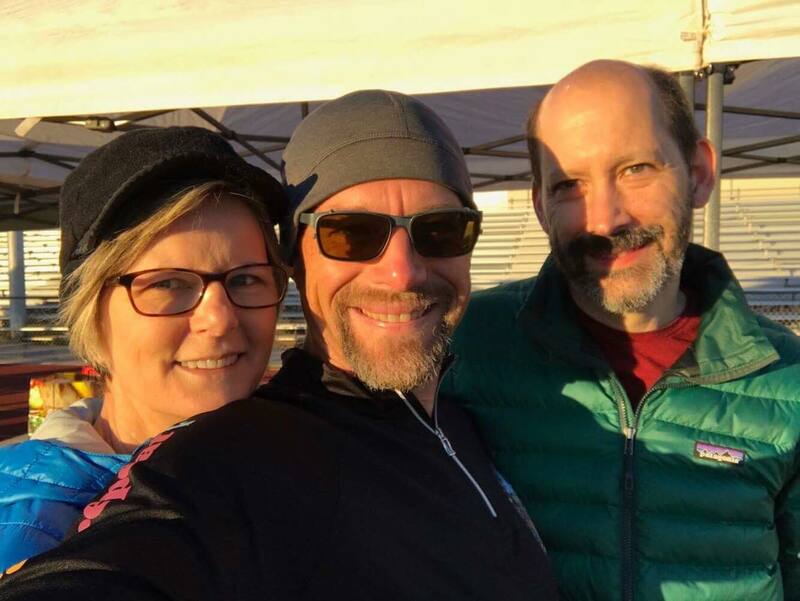 Neither of those would have happened without the strong performances by Gina Slaby, Jon Olsen, and Steve Slaby at Run4Water, that put them on the teams and bumped me off. And Katy Nagy ran a new American Record of 155.7. Finally, I got to witness Poland's Patrycja Bereznowska break the World Record, becoming the first woman ever to run over 160, with 161.55 miles. 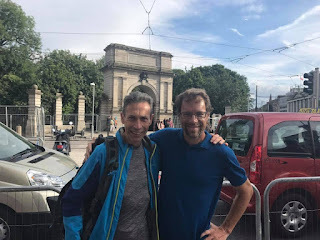 With Irish star Eoin Keith, who had the race I was after! 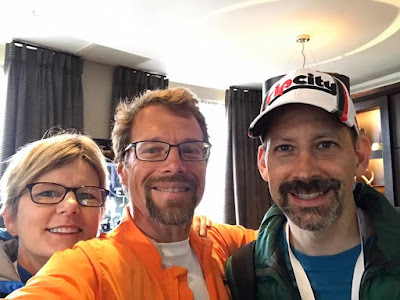 Thanks go to Howard Nippert and Zane Holscher for organizing the team, to Doc Lovy and his medical staff, to Tracey Outlaw and Bill Schultz for live, on-site coverage and encouragement, and to Mike Dobies for sophisticated in-race tracking and tactical analysis. Recovery from Worlds was again slow. As I'd had zero issues with the peroneals during the race, I canceled the surgery. 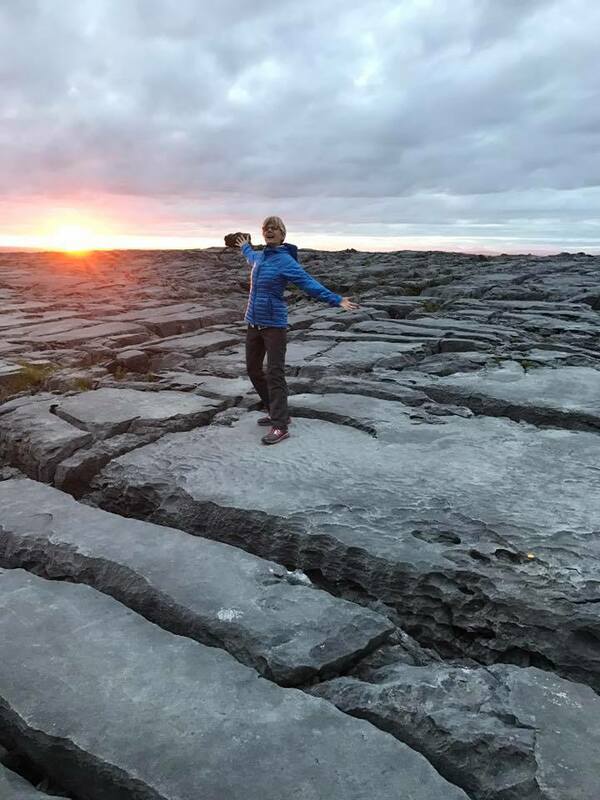 It would have meant three months of no running, and realistically a year to get back to 100% – except I'd be a year older. I'm setting age-group American records; I am not going to give up a year of competition unless I'm positive I have to. So I declined. 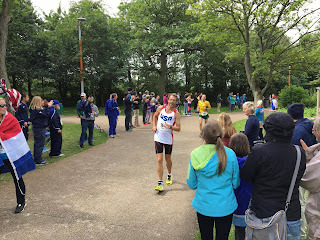 The peroneals were OK, or not limiting my training anyway, but it still took quite a while to really get my mojo back. 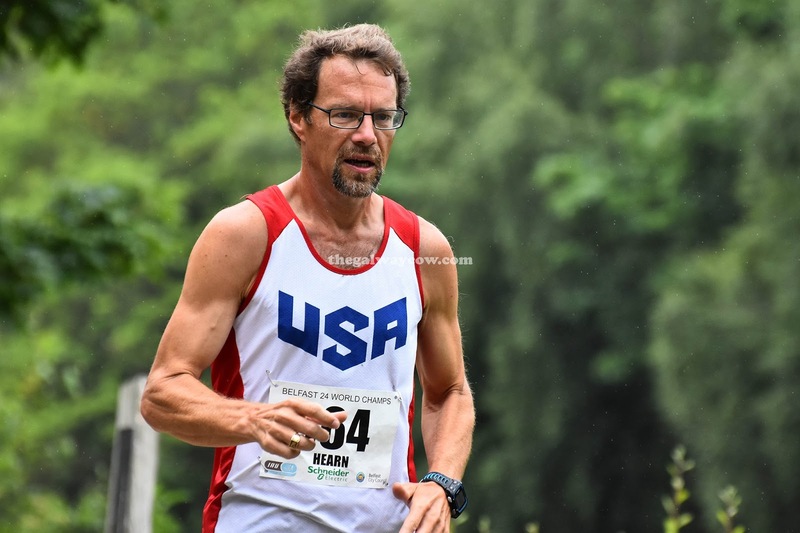 The whole experience of focusing my life on making the team, then failing, and running a bad race at Worlds anyway, had taken a lot out of me, and kind of closed a long chapter in my life. I'd run four team qualifiers (plus one for 2015). My 152 was 7 miles more than it had ever taken to make the team before 2017. But it wasn't good enough. I now had to look ahead to 2019 for my next chance, but two years older, with even more competition. I just wasn't sure I had it in me. On the physical side, both Achilles were holding me back. I finally went back to my foot doctor for more EPAT treatments, which I'd had before, and was then able to build back my mileage again. 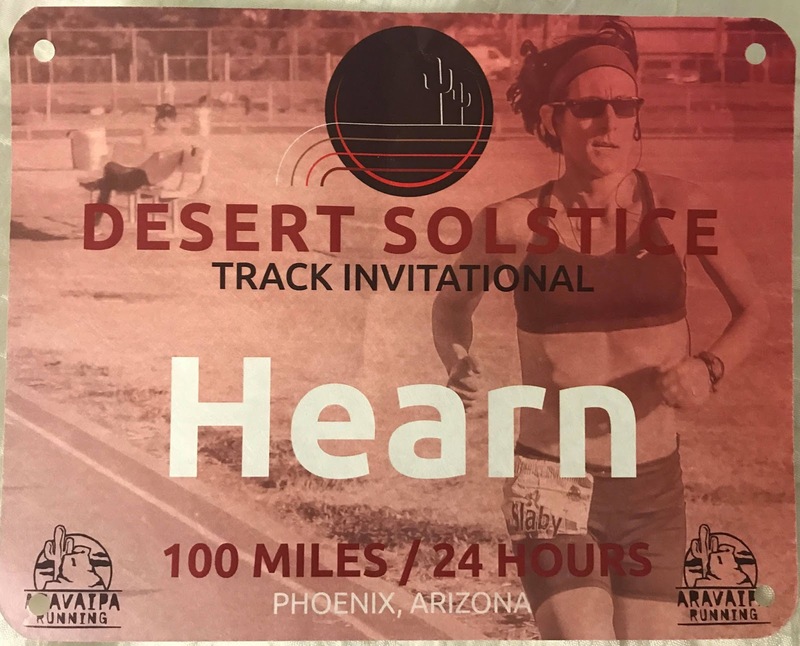 2017 Desert Solstice My next target was the Desert Solstice 24-Hour Invitational in December, with a chance to qualify for the 2019 team. On the way I ran the Javelina Jundred six weeks prior, as an "easy" training run. 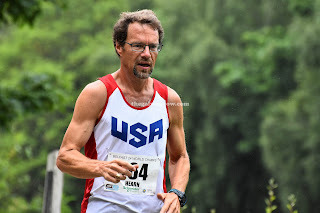 (I needed a Western States qualifier anyway, because I'd missed running Umstead in April to run Run4Water.) I ran a pretty smart, I thought, 23:32 at Javelina – and also won the, ah, special award that I was after, which made it even more worthwhile. Meanwhile Adrian Stanciu ran 18:01. Adrian had also run at Worlds as a US alternate. 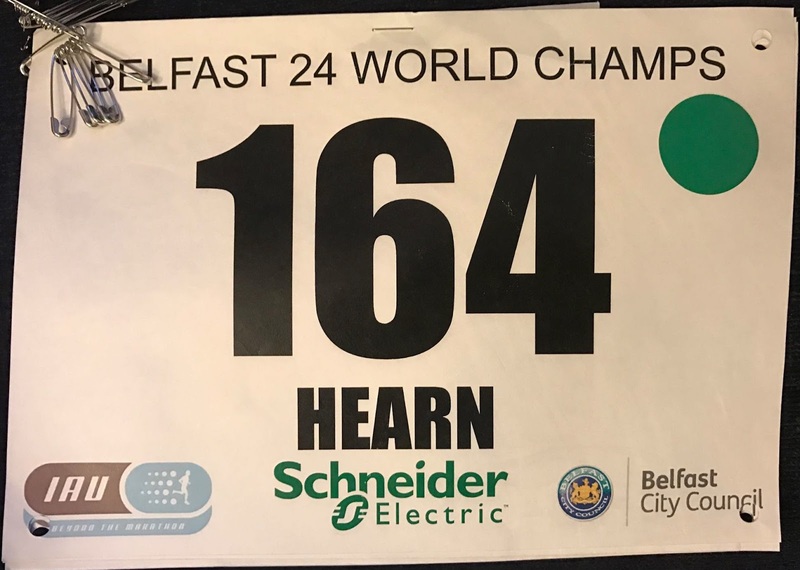 Prior to Worlds he had always run smart 24-hour races, but never held on to finish really strong. Well, at Worlds he ran a magnificent 148 miles, a PR. And he was running Desert Solstice too. 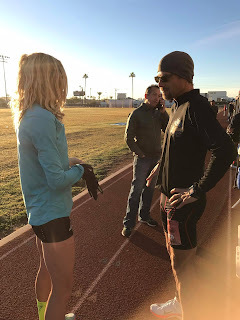 There were others in the race with better Ultrasignup scores, but in my mind Adrian was my chief competition both at Desert Solstice and also for what will likely be one available slot on the 2019 men's team, with such strong qualifiers already on the books from Worlds. So, I was somewhat taken aback to see him put out such an effort at Javelina. 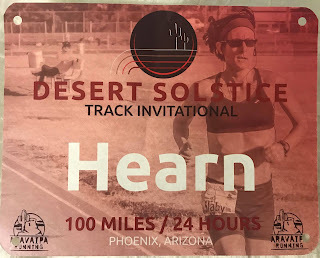 I thought this gave me a big advantage heading into Desert Solstice. I could train through Javelina; he would have to recover. Thank you to Natalie Larson for pacing me at Javelina! And to Aravaipa for another excellent production, and to Jubilee for that award selection. Javelina Jundred – before my wardrobe change. Pic by Howie Stern. 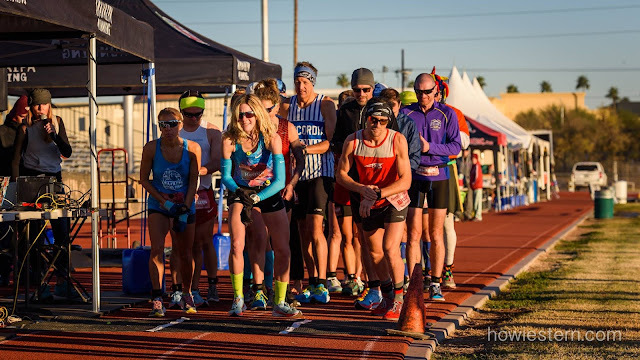 But Desert Solstice was another big disappointment, my worst 24-hour ever. 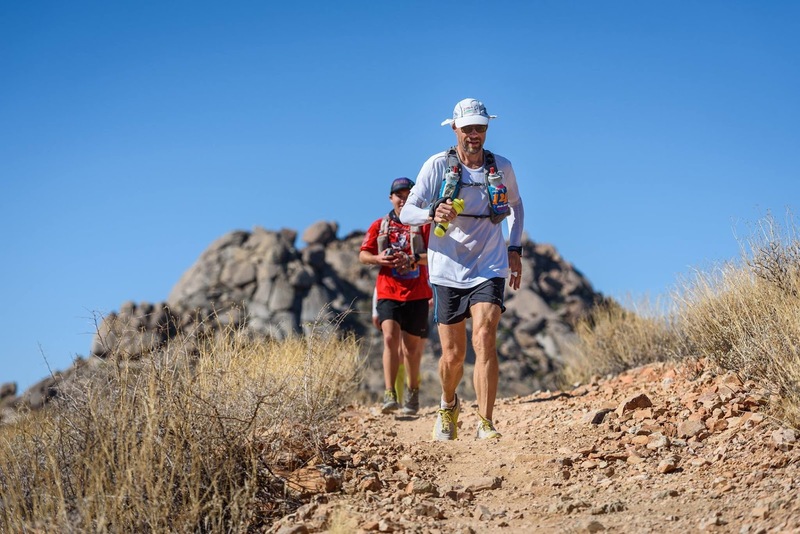 I learn something at every race, and after seven 24-hours and two Spartathlons, I had learned a lot about this type of racing, and I was dialed in. My pacing was smarter than before; I paced for 154, more conservative than I'd tried at the previous two Desert Solstices. My nutrition was smarter than before; I'd just completed a sports nutrition course at Stanford. Again Liz and Scott were there to crew me; they were more experienced than before. Thank you! But I completely fell apart. Probably one factor was that just the week before the race I had unexpectedly lost one of my closest friends, in the prime of his life. 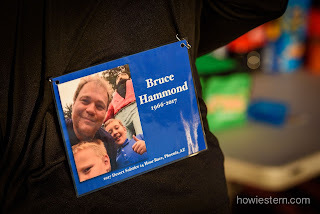 I ran Desert Solstice in his honor, but was unable to do his memory justice. 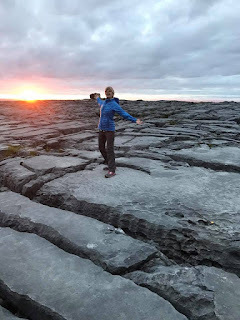 The problems started early, with glute pain around 9 hours. I took an Advil and it was manageable. But the effort gradually increased. Eventually Liz told me I was leaning backwards again. This had also happened to me last year at Desert Solstice. You can't run efficiently leaning backwards. Finally it had gone away last year, and I had come from behind to win the men's race, though with only 144.71 miles. This year, I was not that patient. The minimum qualifying distance for the 2019 team had been raised to 145 miles; anything less would be a meaningless result. I tried several times to regroup to at least hit 145, but finally gave up. This year there were five guys well ahead of me; it would take some luck to even podium. So I stopped very early, with 93 miles, thinking I might as well save it for another shot. (It turns out I'd have had that luck; had I stayed I'd have likely finished 3rd.) And Adrian? Adrian ran 150.275 miles to win. Wow. Yep, now firmly in "nemesis" category. 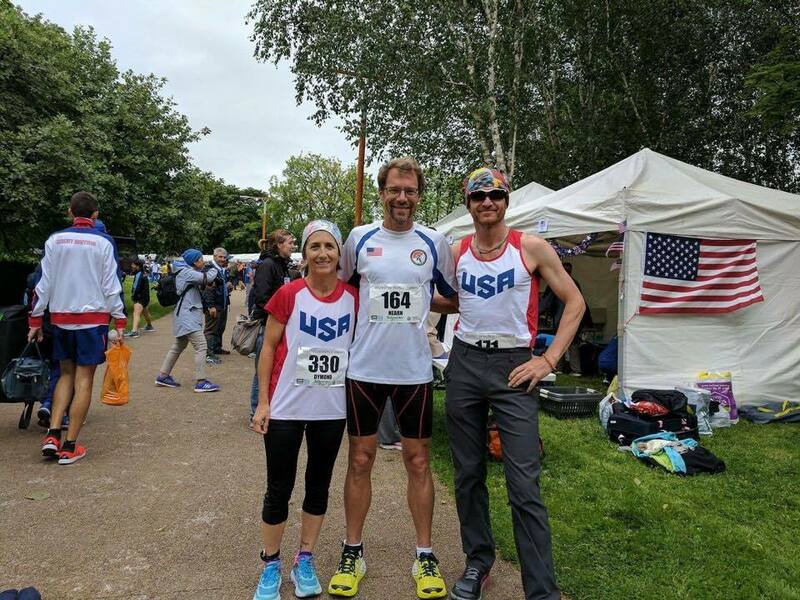 Isaiah Janzen, member of the 2015 National 24-Hour Team, had said he was going for the overall American Record of 172 miles, but stopped at 109. Other excitement involved Zach Bitter trying again for the 100-mile World Record (he collapsed on the field after 61 miles, on a pretty hot day), and Camille Herron entering her first fixed-time race, going for as many records as she could knock out: she got the track 50-mile and 100K American Records (though short of Ann Trason's road records) and the 12-hour World Record, to go alongside her 100-mile WR from Tunnel Hill. When I got back to the hotel room I could barely move a muscle without something cramping. That was something new. I think I'd managed to get very dehydrated, somehow, though it hadn't felt like it at the time. But the next day I was kicking myself. What was I thinking? 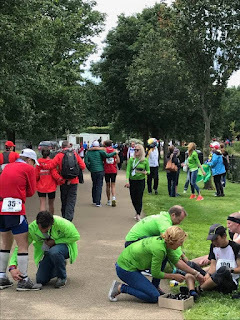 I'd put in all the training and 15 hours of race-day effort, but I had not collected the payoff: the experience of completing the 24 hours to the best of my ability, to learn more. Those are hard-earned data points, and here I'd failed to claim them. BUT... it really was the right decision. To be continued!